Double Coin Tires and the Chinese Manufacturers Alliance (CMA) have received their first shipment of tires from their manufacturing plant in Thailand at their Rancho Cucamonga, California warehouse. The plant, owned by Huayi Group (Thailand) Co. Ltd., and will manufacture TBR tires, industrial tires and OTR tires for the tiremaker’s North American market. Phillips was part of a team that went to visit the new manufacturing plant to strengthen relationships with Thai government officials. 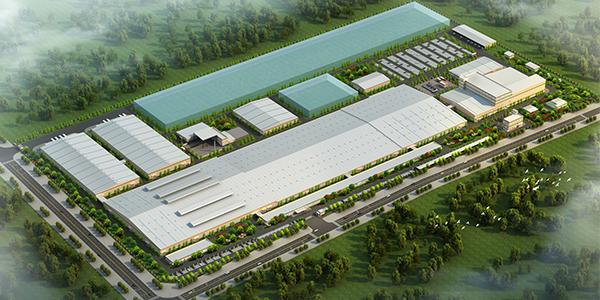 The facility operates in the Luckchai Rubber Industrial City Hub, which is located in Thailand’s Rayong Province. Built on a 3.6 million-square-foot site, the new facility is set to manufacture over 2.5 million TBR tires as well as 50,000 OTR tires. The plant holds new equipment and new technologies, such as automated manufacturing an material transfer. The project is designed according to the Industry 4.0 concept, a level of automation that reduces the number of employees in the factory to half of what is needed in a traditional tire factory and ensures the quality of the products produced is more stable and reliable. Double Coin Tires are supplied by China Manufacturers Alliance, LLC, which is based in Monrovia, California and is a subsidiary of Shanghai Huayi Group Corporation Ltd.